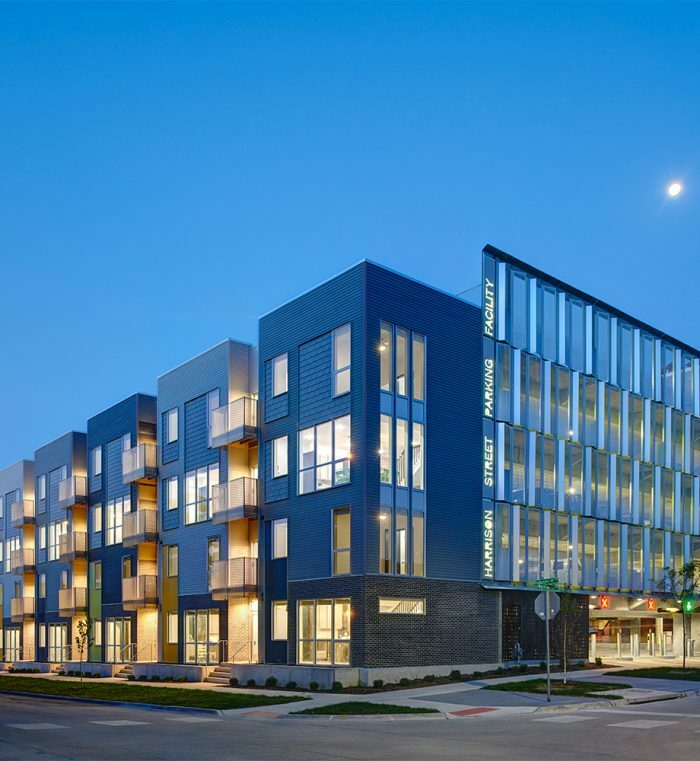 Located in Iowa City, the Harrison Street Parking Facility is wrapped by the Sabin Townhomes on the south and east facades. The layout provides each condo unit with direct access to the parking deck. 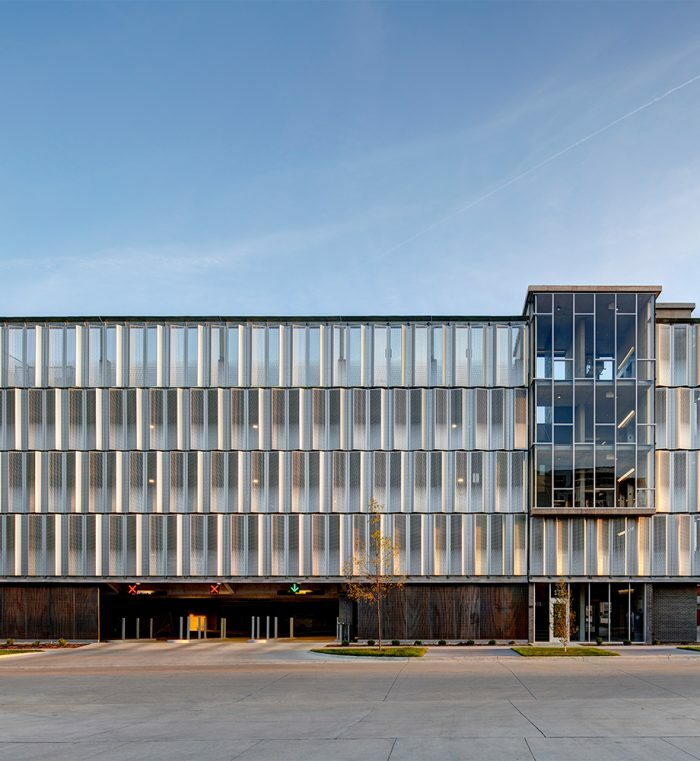 Perforated sheet metal panels on the structures west and north elevations filter headlights and views to the exterior, maximizing daylight and passive security. A glass stair tower and internal signage emphasize the composition. Included on the ground level are two charging stations with rough-ins for four more should the need for charging stations increase. 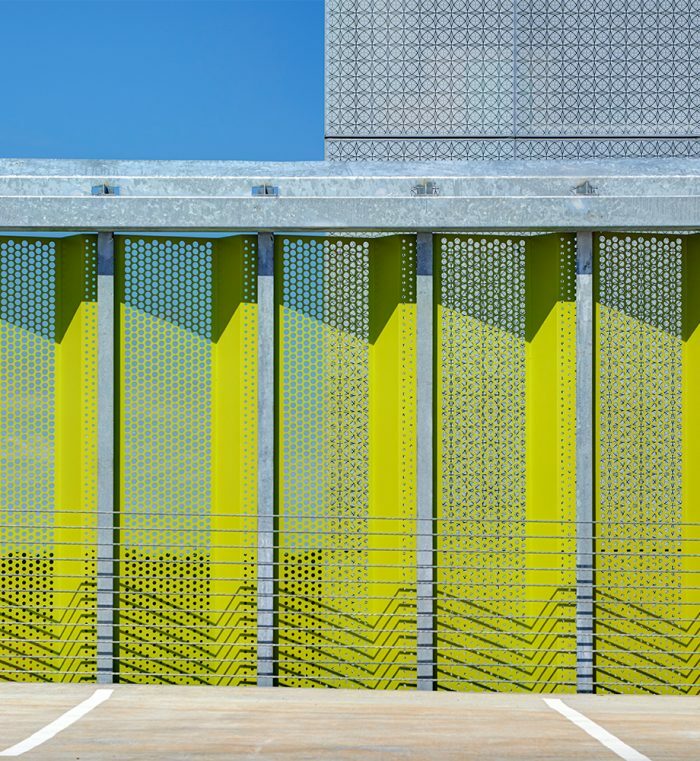 The parking ramp provides 608 parking spaces on 7-levels. 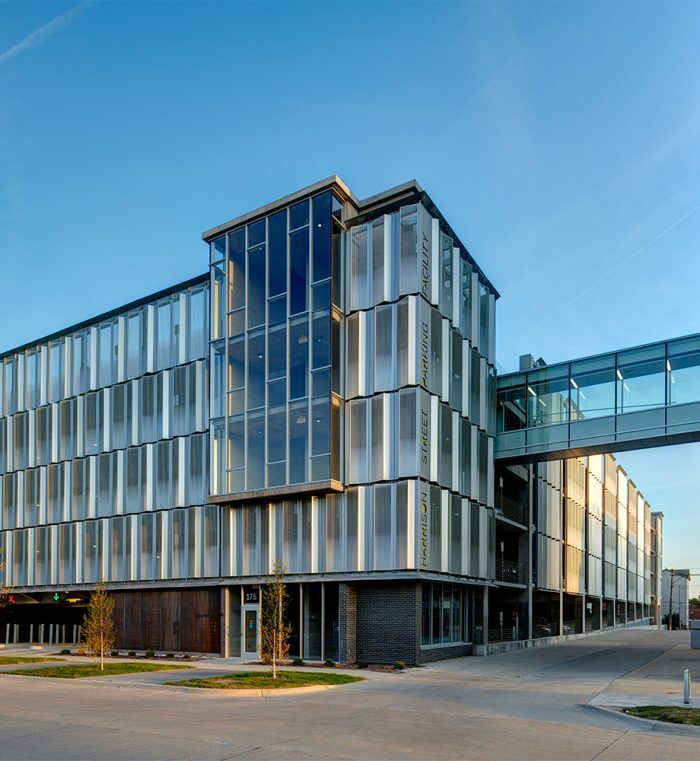 A third-floor skyway connects the parking facility to an adjacent six-story commercial building. 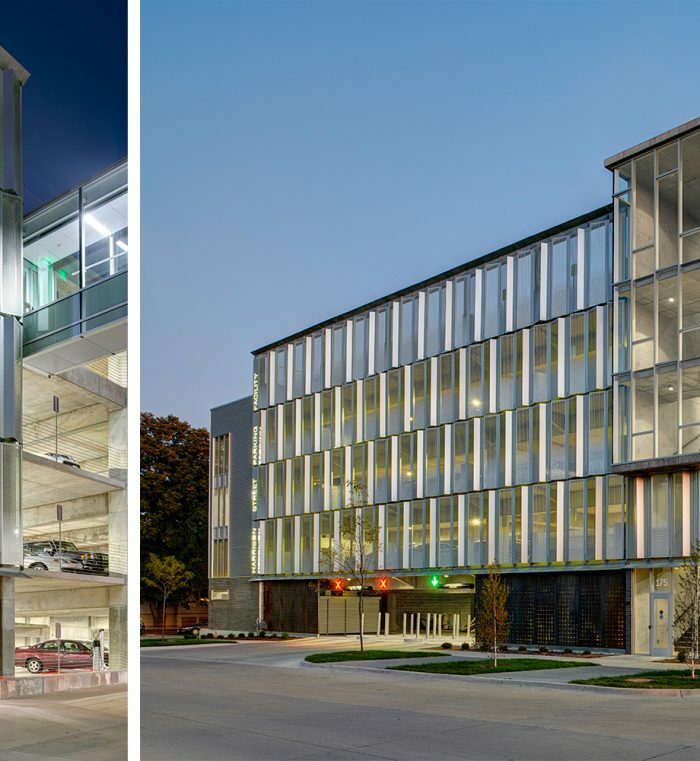 WALKER provided Functional Design and Structural Engineering services.